Despite my busy basketball public address announcer schedule, I have been able to enjoy the "Miracle March" on the slopes of Maine. The snow quality this season through February had been hit or miss, but a couple of impressive March snow storms resulted in 50+" of new snow in the mountains of Maine resulting in some pretty incredible skiing. We had a great day skiing Sugarloaf March 11th. We have been able to launch ourselves down the front face of Sugarloaf including skiing Bubble Cuffer Extension and Powder Keg trails for the first time. We are hoping a little more snow that is forecasted this week adds to the base even more and that the backside snowfields of Sugarloaf will be in-play this coming weekend. Sugarloaf has some pretty incredible terrain above the treeline, and the snow has made all the trails from beginner-green to expert double-black super-fun. They are now set up for a stellar late winter & spring. I have always said March is by far the best month to ski in Maine! The snow is usually deep and when it isn't snowing, the sun is shining higher in the sky. Can't beat it! 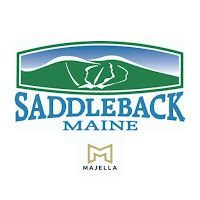 The Saddleback ownership situation continues to drag on. Majella started out with best of intentions with their big announcement last June in regards to their future plans with the resort. However, the financing the deal has hit some snags. Occasionally a newspaper / TV story hits that creates a flurry of speculation and opinions on social networks, message boards, print and broadcast media. We are all just guessing at this point as all the parties involved are not talking much. It seems we are no closer to a final answer than we were last June. I wrote a post back in June on the potential sale and I wrote we will have to be patient. I was thinking we were needing to be patient on getting the mountain open. It seems that we have to be patient just getting the sale done. Regardless, staying patient still holds true today and I will hope and pray this comes to a successful conclusion soon so we can ski a lift-serviced Saddleback again. As I mentioned in my last post about this public address announcing hobby of mine, I was able to be the PA announcer for the America East college women's basketball championship and Bowdoin College Women's Basketball 1st-2nd Round NCAA games (more on that later). I also was able to tick off a "bucket list" event in doing PA for a Maine State Championship basketball game for the first time. Outside of my microphone not working at the start of the boys game (it worked the entire girls game before - what gives!) I recovered and I was able to have a great experience. I hopefully made a positive impact on the game experience for the fans and most importantly the players. The games were televised to a statewide audience on MPBN, and here is a video recording my myself doing the team introductions for Greely and Hampden Academy boys teams. It was a lot of fun! And what a run for the Bowdoin College Women's basketball team in the NCAA Division 3 Women's Basketball Championship! I was on the PA for their first two NCAA home games (victories over Husson & FDU) which ushered them into the Sweet 16. A great crowd was on-hand at Morrell gym to cheer the team on to victory. Then I watched them on-line from home as they traveled to Scranton, PA and beat Scranton on their home floor. Then they defeated NESCAC rival Tufts to punch their ticket to the Final Four!!! What a moment! What an awesome accomplishment for this team! The Final Four was in Rochester, Minnesota over this past weekend (March 16-17) and I was able to re-route my return from a west coast business trip to watch the team play. It was a really fun experience and the team parents, alumni & Bowdoin staff were very gracious for letting the PA guy for tag along for the Bowdoin receptions and final four events. It was good to get to know the parents off the court. They are a great group of people with some great kids! In the national semi-final Bowdoin had a tall order. They were taking on undefeated Wartburg from Waverly, Iowa. (Little known fact is that I lived in Waverly Iowa for a year when I was 4 years old.) Waverly is only about a 1.5 hour drive to the Mayo Civic Center in Rochester and they brought an impressive number of fans filling up one side of the arena in bright orange. However, the Bowdoin women fed off this energy, played an exceptional game and ran Wartburg right out of the gym by a 90-62 score. It was a most impressive performance and it was safe to say I was excited for the victory. Being a fan during a game is MUCH DIFFERENT than being on the PA. While doing PA I want my home team to do well and I might lean into the home team calls a bit more when they make a great play. However, I am quite busy keeping track of the game action and making sure I do a professional job for both teams and fans in the gym. So I don't really get TOO excited. However, when I am "just" a fan... I can cheer as much as I want! It was great to experience to be a fan in a Final Four setting. I lost my voice at halftime due to cheering so much. Bowdoin met NESCAC rival Amherst in the national championship game. It was close through three quarters, but in the end just not enough buckets fell through the hoop for the Polar Bears. What a 6 game NCAA run Bowdoin had. The players and Coach Shibles will have memories that they will cherish for a lifetime. Bowdoin seniors Kate Kerrigan, Lydia Caputi and Lauren Petit will be missed but a lot of great players are coming back too. The future is bright for Bowdoin basketball. While the last game didn’t end like they wanted @bowdoinwbb can take pride they did indeed play in the last game of the season. What a ride for these women and @pbcoach @chewonkishea & @mphelps21. It was a privilege to be part of the experience on the PA at Morrell and as a fan at the Final Four. So I take the spring and summer off from PA duties but I am already looking forward to fall football starting up. I will be covering Freeport and Bowdoin football as usual, but new this fall I will be on the PA for the 4 of the 5 home games for the first year University of New England football program. Til then, golf, fishing and family camp time will fill up my spring and summer... after a few more ski trips this March, April and maybe even May! 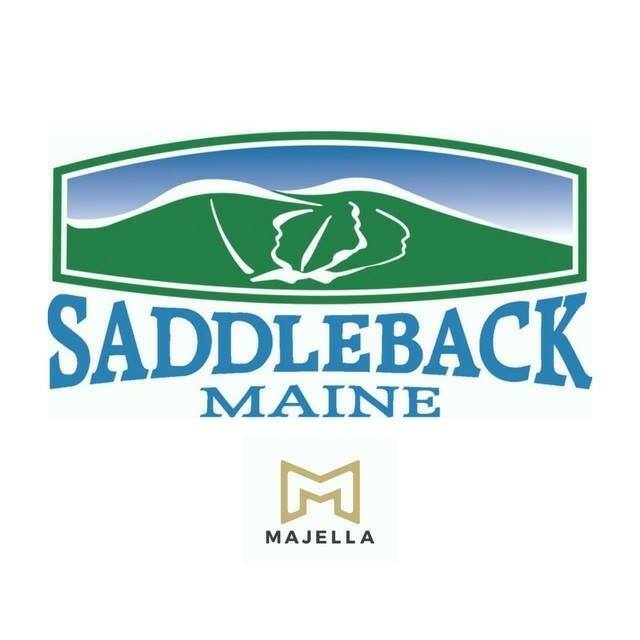 See you on the ski slopes and sporting fields of Maine!